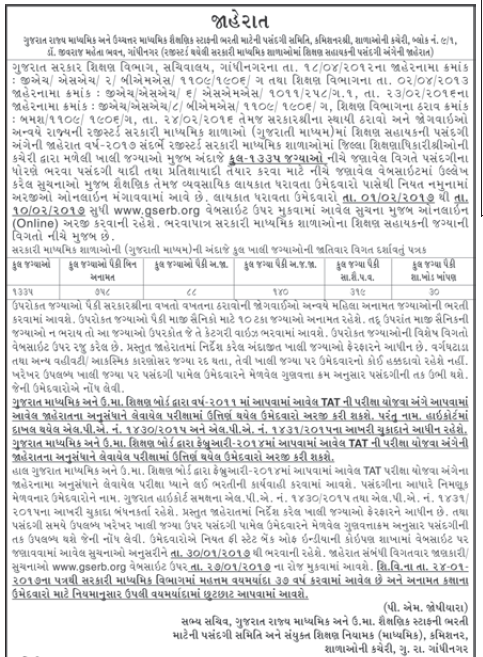 GSERB has published Advertisement for below mentioned Posts 2017. Other details like age limit, educational qualification, selection process, application fee and how to apply are given below. Educational Qualification : TAT Pass, For more details read Official Full Notification.